Milano is a stylish, simple and modern design with classic appeal, hand finished with thread stitched detailing in any colour. 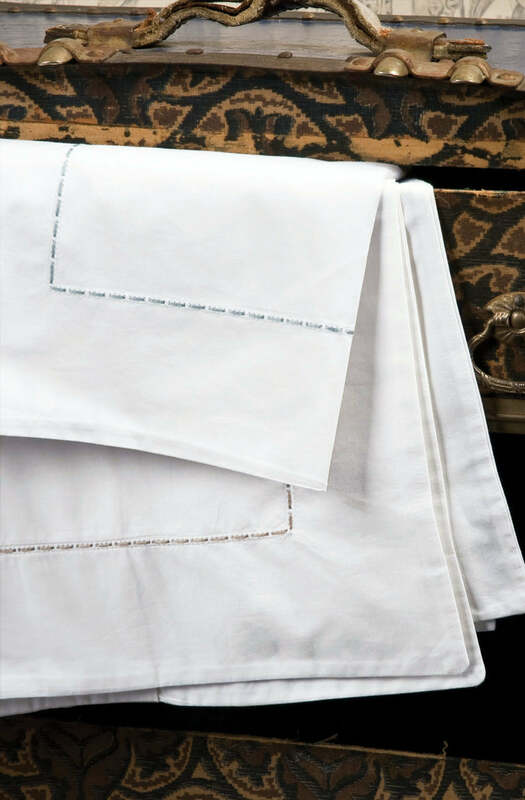 Lodge pillowcases available in crisp white only. Please allow 10 working days lead time for hand stitching. Please send me a sample of the following swatch for milano white lodge pillowcase.